Would you like to have a smart personal assistant at home at all times, obeying your commands to make every day routine tasks much simpler? Behold Amazon Echo – Amazon’s voice activated smart home speaker. 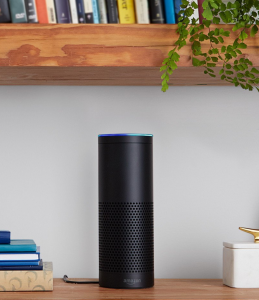 Powered with Alexa, Amazon’s voice control system, the Amazon Echo is a wireless speaker that responds to your voice commands and fulfills your wishes without you having to dig out your smart phone from the pocket. This Alexa powered smart home device allows you to search the net, play music, set an alarm, get answers to simple questions or even control your connected smart home devices without having to even touch your phone. Available in three variants, Echo, Dot and Tap, this voice enabled speaker from Amazon is the one the most exciting additions to the world of smart home devices. Unboxing the Amazon Echo unveils a cylindrical device with speakers in the lower half and 7 multi-directional noise cancelling microphones on the top. Although it is a voice controlled device, it also consists of manual controls on its top panel – the top rotates to control and the buttons on the top can be used to activate or deactivate the microphones. Plug in the Echo and Alexa greets you with a hello and guides you through the set up process, which is pretty simple. All you need to do is download the IOS/Android/Amazon Fire companion app and proceed to connect the Echo to your Wi-Fi connection and your phone or tablet. The entire pairing process is rather easy and doesn’t require much time. The Echo requires being connected to the mains at all times, however, proximity to the voice source is not an issue. Thanks to 7 multi-directional noise-cancelling microphones situated at the top of the device, the Echo boasts of a good range of voice detection and can pick up voice commands from wherever you are in the room. 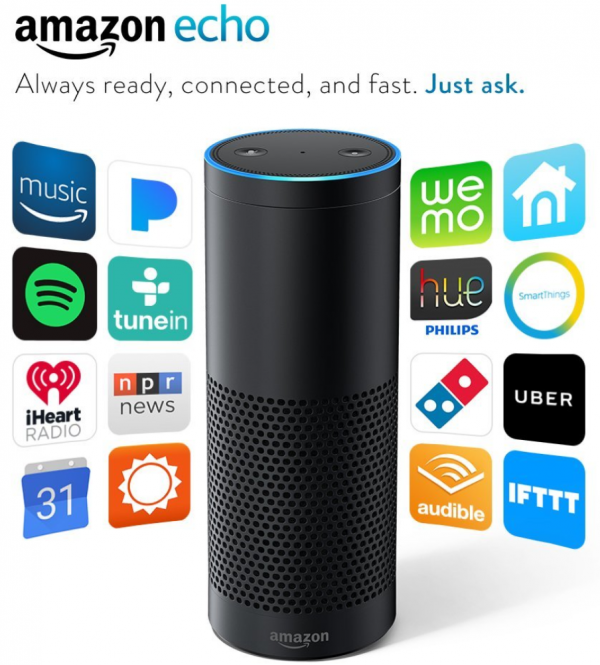 The Echo can be programmed to respond to the wake words “Alexa”, “Echo” or “Amazon”, Alexa being the default. Just say the wake up word, and Alexa is alert and listening, waiting for your next command. 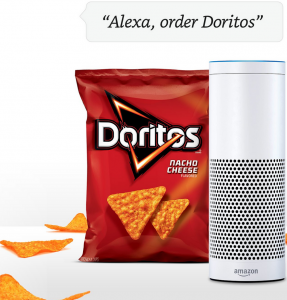 You can ask Alexa to play music (through Spotify Premium or Amazon Prime Music), search for news, order food, order an Uber, request a traffic update, add items to your schedules and also control your connected (and compatible) smart home devices. The list of tasks Alexa can accomplish is by no means exhaustive, and Alexa is capable of doing much much more! Alexa has an app that allows you to add to the lists of tasks it can accomplish by adding new abilities called “skills”. A “skill” is like a third party app, a program that can be added to the Amazon Echo to enable a new functionality. The list of available skills available on the Alexa app is continuously expanding, with over 1,500 skills currently available. 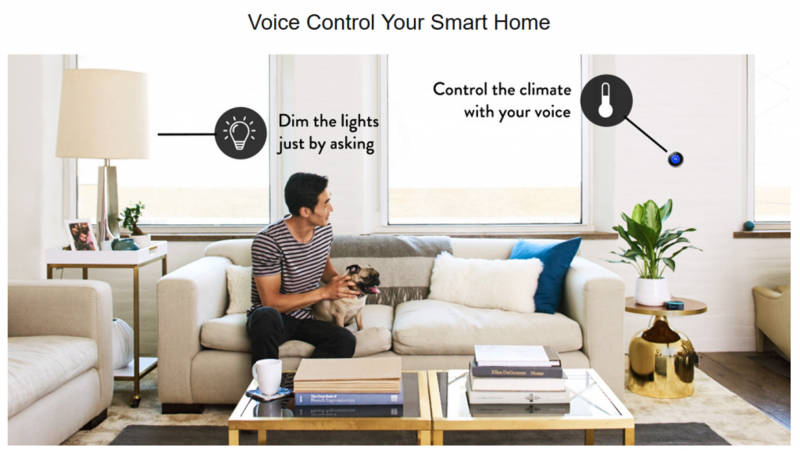 Smart home users would find the Echo even more fulfilling. If you’ve set up smart home devices and are especially excited about controlling them through your phone, then Alexa will definitely take that excitement up a few notches. Alexa allows you to “talk” to your compatible devices and tell them what to do, without even touching your phone. The Echo is compatible with a number of smart home products like Hue, Lutron Caseta, Nest, Sensi, Ecobee3, WeMo, SmartThings and Scout among others. Whether you want to change the lighting in the room, or control the thermostat, all you have to do is ask Alexa. The wonderful device that Amazon Echo is, it does have its limitations. In terms of the hardware, the Echo is not exactly portable. It weighs around 1.7 lbs and requires being connected to the mains at all times. It also lacks a 3.5 mm jack so the only connectivity option for external devices is Bluetooth. If you’re looking for a portable device, then you’d be better off with Echo Dot or Tap. Echo’s sound quality is decent, but it is not for the audiophiles out there. If sound quality is your priority, then there are better and cheaper wireless speakers available in the market. Echo’s functionality also has certain limitations. It is not a comprehensive smart home system. For example, it is not compatible with complex commands and can only respond to one command at a time. That being said, the Amazon Echo powered with Alexa delivers a unique experience and would definitely be a smarter addition to your smart home.